Some interesting news from Japan….it seems parent company Panasonic has been working hard to re-launch the storied Technics brand. While most of the content on the brand-new ‘Technics Global’ website could be viewed as a glossy marketing initiative, it does include a tasteful run through Technics’ history, beginning in 1965. And yes – there are real (new) products, with planned physical showings at events last month in Germany and this week in Japan. The coolest part? What’s in the pipeline here seems to be squarely aimed at the two-channel audiophile. Of the rather well-heeled persuasion. 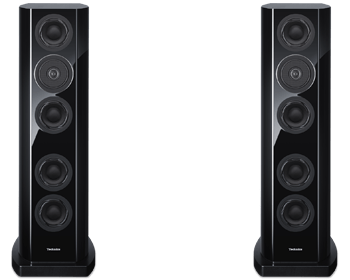 For example, the speakers below, from the tentative specs given, employ four 16-cm woofers (each), have a reasonably domestic size, but weigh 76 kgs each. It’ll be interesting to see reviews of the new Technics gear coming in. Unfortunately, only five countries are listed for distribution so far: Japan, Germany, UK, France and Sweden.